Statement layering. 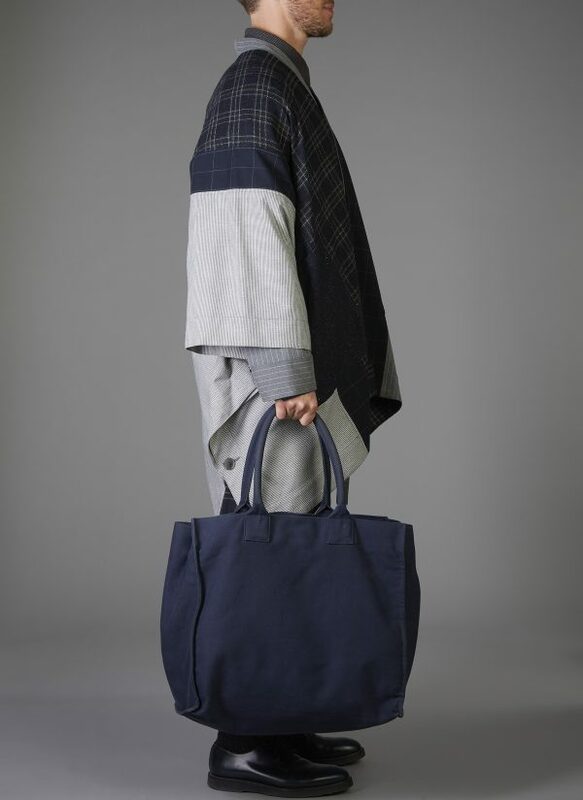 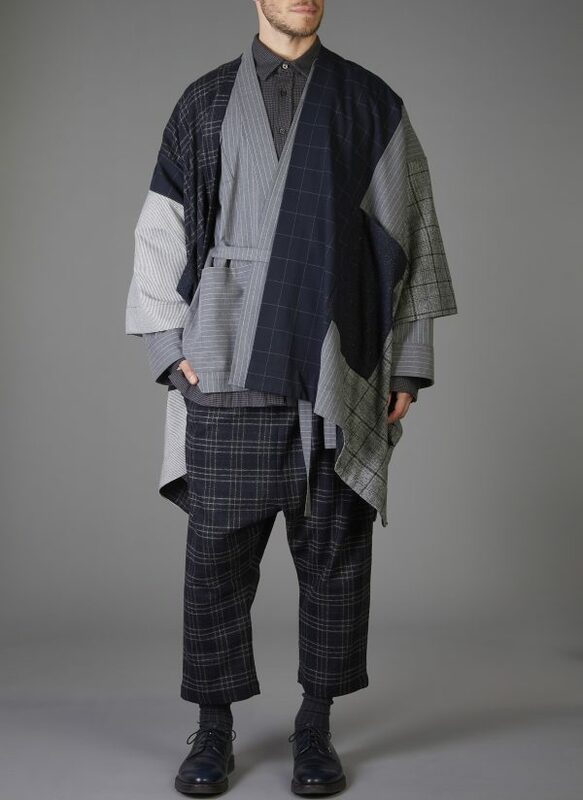 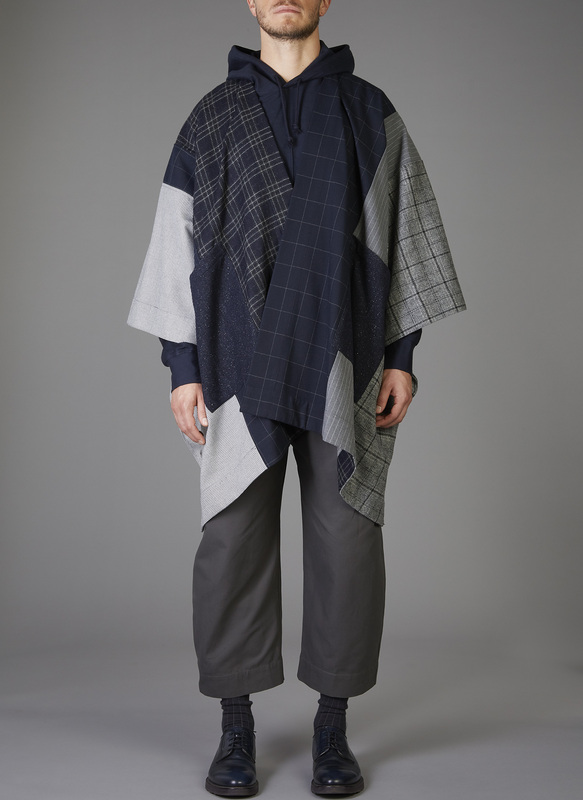 Colorblocked construction of soft Japanese flannel suiting textiles brings an unexpected combo of refined and artisanal. 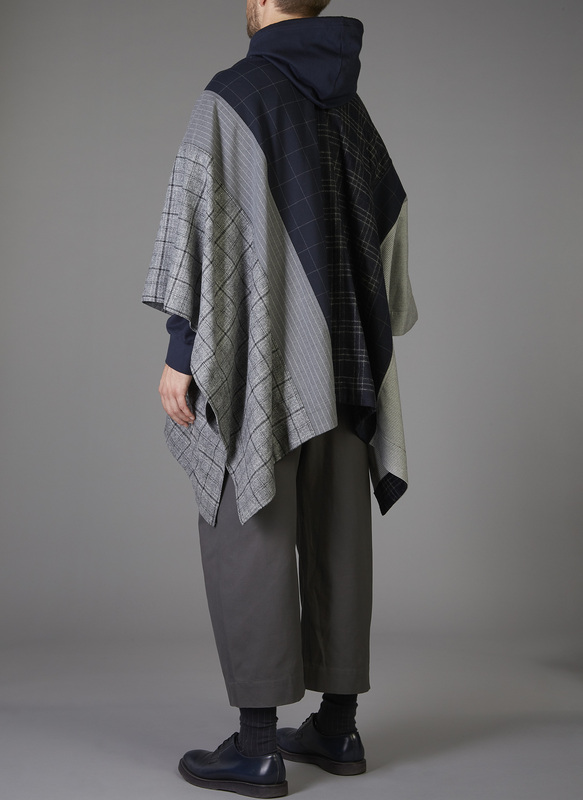 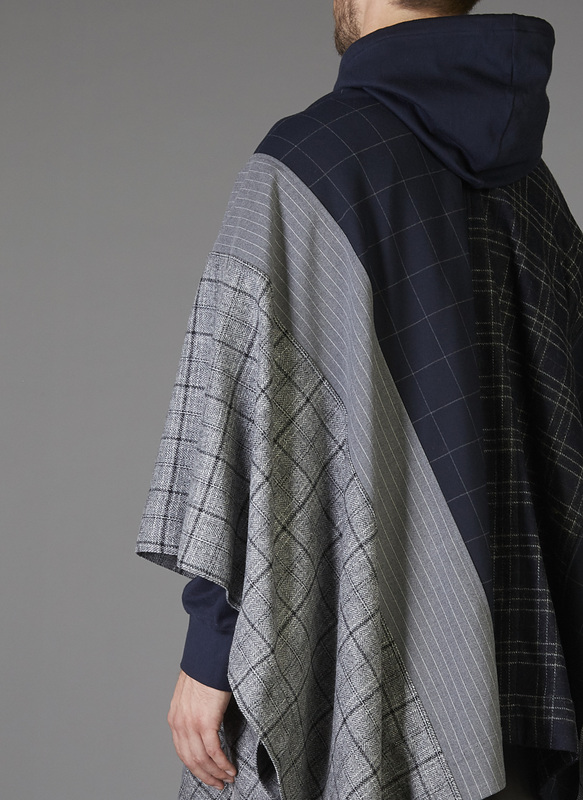 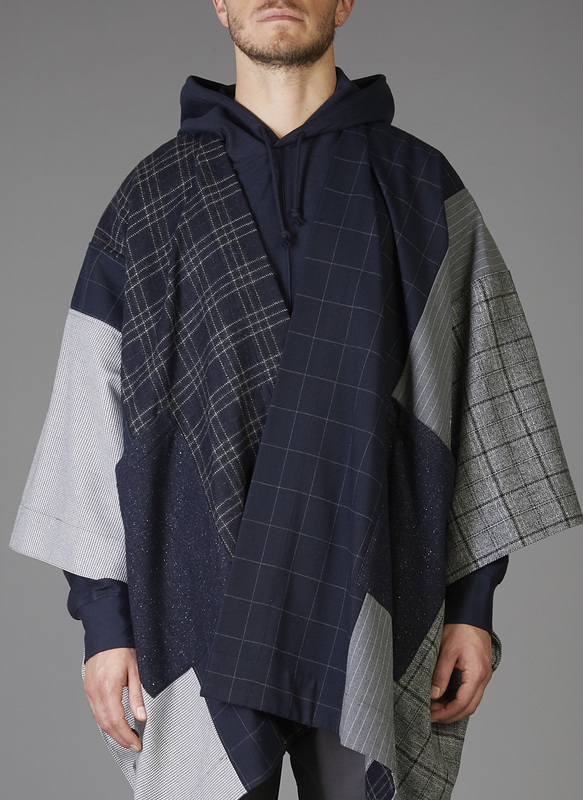 Our newest Panel Poncho is a playful take on the seasonal staple. 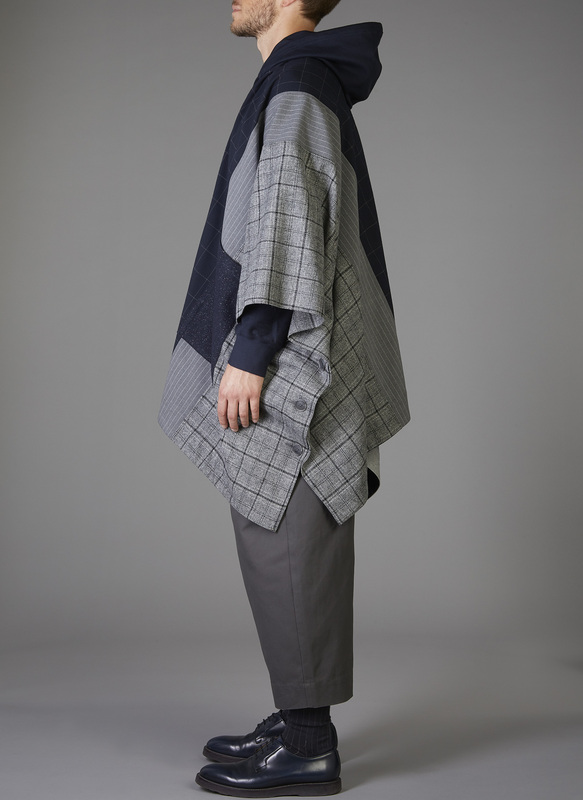 This garment is unisex.